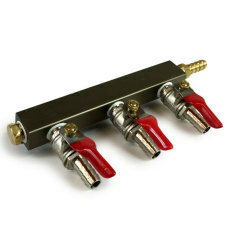 Turn a refridgerator into a homebrew kegerator with this kit that features a used ball lock keg, standard beer faucet with shank, and all the lines needed to be up and running! 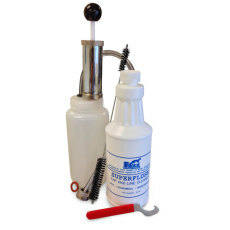 Included is a high quality Taprite regulator, ball lock gas line assembly, a used 5 gallon cornelius keg, a ball lock liquid disconnect with swivel nut set, 6 feet of 3/16" ID Bevlex thick-walled liquid tubing, and a full shank assembly that includes a standard beer faucet, faucet knob, 4" shank, 1/4" tailpiece, beer nut and neoprene washer. 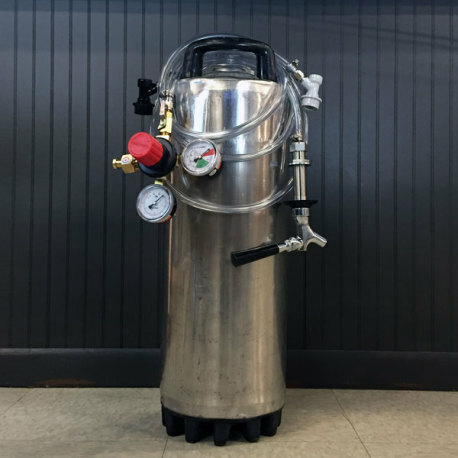 Make the draft system you have always wanted with this kegerator kegging system!